South Beach Diet creator, Dr. Arthur Agatston, says stop blaming your mother for your weight problem—DNA does not determine your waistline. Plus, 9 other weight-loss excuses debunked. In other words, this year, it's all about you. New evidence supports what common sense should tell us—that obesity is a modern problem caused by modern behaviors. In brief, the U.K. researchers found that the 17 genes that contribute to obesity can be held responsible for a mere 2 percent of the variance in Body Mass Index (the standard measure for classifying obesity) in Caucasians. The more likely culprit for why we are fat: poor eating habits and a couch-potato lifestyle. This evidence supports what common sense should tell us—that obesity is a modern problem caused by modern behaviors. Two-thirds of American adults are now either obese or overweight. In Mississippi, 44.4 percent of children ages 10 to 17 are. The incidence of Type-2 diabetes in American adolescents has increased 10 times over the last decade. • 10 Ways to Lose 10 Pounds FastSo here we sit… and sit. When it comes to the problem of being overweight or obese, it’s time to stop blaming everything else—our genes, our work, our stress, or any of the other excuses we lean on. As a practicing cardiologist, there are 10 excuses I hear most often. Let’s examine them in the light of this new research and consider steps you might take to overcome them. Forget what your mother (or father) told you. Instead, focus on your family, friends, and tablemates, rather than the food. Take time to enjoy conversing with those seated with you. Remember, too, that eating is not a power sprint; it’s a pleasure. Research shows that routinely galloping through meals often leads to chronic overeating and obesity. This is because eating too quickly can interfere with the body’s feedback mechanisms, allowing you to continue to take in more calories because you don’t yet feel full. Even if you’re eating alone, set a place, sit down, and take some time at the table. As you doubtless know, for any weight-loss plan to be successful over the long term, an exercise component is essential. We know that thin people spend more of their days standing, walking, and even “fidgeting” than do overweight individuals. Studies show that people who walk around the office, or stretch or pace while talking on the phone, can burn up to 350 extra calories a day. Try to interrupt your sedentary work day with opportunities to exercise. Takes the stairs instead of an elevator and add distance to your walk to work, even if it means taking the farthest spot in the parking lot. Thankfully, recent studies have documented an exercise strategy that allows us to burn more calories and more fat in less time, while simultaneously increasing our health and fitness. It involves performing 15 to 30 minutes of “interval exercise” rather than 30 to 60 minutes of “steady state exercise.” During intervals you alternate short bursts (15 seconds to 1 minute) of more intense exercise (the work period) with comfortable periods of less intense exercise (the recovery period). Your ratio of work periods to recovery periods and the intensity of your exercise depend on your fitness level, which will improve rapidly if you keep at it. Intervals can be performed doing any aerobic exercise that you enjoy. It is ideal to “cross train,” performing different forms of exercise (including resistance exercise and core strengthening) on different days. Another benefit to interval training is that the time flies by because you are always anticipating the next work or recovery cycle. I like to remind my overweight burger-and-fries-eating patients who are candidates for prediabetes, diabetes, and heart disease that the real cost of eating cheap fast food could very well be an expensive hospital stay. Today, so many grocery stores and farmers’ markets are selling local fresh produce that prices are coming down, and it’s becoming just as easy to pick up quality fresh fruits and vegetables as it is to head to the drive thru. Of course, with fresh foods you need to do the prep work, but your health is worth the effort, don’t you think? I hear this excuse all the time and the solution is simple. Eat three meals a day and healthy snacks that focus on lean protein (poultry, seafood, and lean meats), good monounsaturated and polyunsaturated fats like olive oil and canola oil, low-fat dairy, and antioxidant and fiber-rich fruits, vegetables, beans, and whole grains. Doing so will help control swings in your blood sugar and consequent cravings for sugary and starchy carbohydrates, and you’ll find that you’re not hungry as you work toward your weight-loss goals. Make 2010 the year to clean the junk food from your cupboards and start fresh. You can’t be tempted by potato chips if none are in your home. And remember to always eat slowly and savor every bite. You’d think that sleeping too much would make you fat, but there is a link between lack of sleep and weight gain. Studies show that two hormones that influence appetite—leptin and grehlin—are directly affected by lack of sleep, and that decreased REM (rapid eye movement) sleep can lead to increased food intake. In fact, too little sleep can really disrupt the benefits you may have been achieving with good eating habits. You’ll need to start getting seven to eight hours of quality sleep each night. Having trouble doing this? Try to go to bed and get up at roughly the same time most days. And if you want to sleep in on weekends, try not to sleep until noon. We all know these are trying times, but you don’t want to let your scale be the barometer. When stress hits, the body releases the hormones adrenaline and cortisol in an effort to stimulate a “fight or flight” response. While adrenaline levels are quick to normalize after release, it can take a while for cortisol levels to return to normal. This is bad news, since cortisol also acts as an appetite stimulant. One proven way to reduce stress is through exercise. When you exercise, your body releases hormones called endorphins, which not only counteract stress but also lower cortisol levels. Other ways to reduce stress include relaxation techniques (such as meditation), finding time for hobbies, journaling about your stressors (by the time you've finished writing, the temptation to eat may have passed, or you might realize that venting, not eating, was what you really needed all along). Try several of these methods until you find the ones that work best for you. Regular exercise also helps decrease food cravings. Quitting smoking is probably the single best health move you can make. Give yourself a well-deserved pat on the back and prepare to take another good step on your own behalf. Make one small change toward a healthier lifestyle every week. Exercise a bit more. Cut out fatty meats. Replace a high-sugar treat with a fiber-rich fruit or some fat-free Greek yogurt. You might be tempted to overeat at this time, but don’t give in. Start small, build on your success, and soon you will notice that you are tipping the scales in your favor. Also, smoking is often associated with high stress, and you will want to make sure you pay attention to easing your stress levels. See Excuse No. 6. If you did not inherit a fast metabolism, you will have to rev it up yourself. You can actually jump-start your metabolism and burn more calories in less time by making some changes in your exercise routine. As described in Excuse No. 2, less can be more thanks to interval training, in which you alternate short bursts of intensive effort with easier recovery periods. You don’t need to join a gym. Just get out and start walking, increasing your pace and distance as you get fitter. But whatever exercise program you decide to undertake, I do recommend that you consult your doctor before starting. Quick weight-loss strategies certainly don’t work. Whether it’s the cabbage soup diet or any other approach that is fixed and time limited, whatever short-term weight you may lose will likely be put back on in spades. The good news is that the confusion that has characterized diet advice for so many years is over. We have moved beyond the low-fat versus low-carb debates. There is now a wide consensus among nutrition experts regarding the principles of healthy eating. We know that for a diet plan to work, it must have variety and the opportunity to enjoy a wide range of nutritious foods over the long haul (see Excuse No. 4). Add regular exercise to a healthy diet regimen and I predict that you will feel so much better mentally and physically that you will permanently commit to this new lifestyle. The bottom line: It’s all about you. Focus on yourself this year—in the best way possible—by grabbing the chance to be more healthy and fit, and turning that chance into lasting change for the better. The feeling of well-being that you’ll experience will be more than enough to keep you from falling back into those old bad habits. Arthur Agatston, M.D., is a leading preventive cardiologist, practicing in Miami Beach. An associate professor of medicine at the University of Miami Miller School of Medicine, and a pioneer in the field of noninvasive cardiac imaging, he is author of the international bestselling book, The South Beach Diet. His most recent book is The South Beach Diet Supercharged. 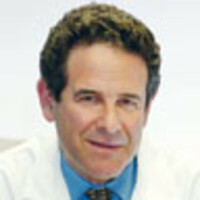 Today Dr. Agatston can also be found on the Web at SouthBeachDiet.com, EverdayHealth.com, and Prevention.com.